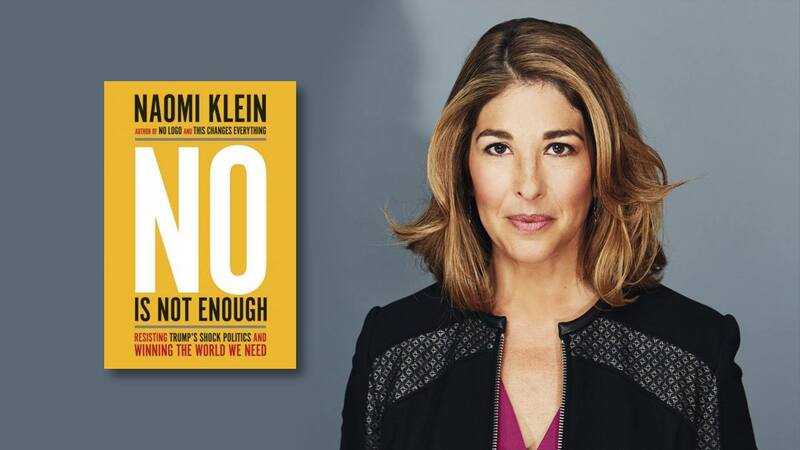 Naomi Klein is an award-winning journalist, syndicated columnist, documentary filmmaker and author of the international bestsellers No Logo: Taking Aim at the Brand Bullies, The Shock Doctrine: The Rise of Disaster Capitalism and This Changes Everything: Capitalism vs. the Climate. She is Senior Correspondent at The Intercept and her writing appears widely in such publications as The New York Times, Le Monde, The Guardian and The Nation, where she is a contributing editor. Klein is a member of the board of directors for climate-action group 350.org and one of the organizers behind Canada’s Leap Manifesto. In November 2016 she was awarded Australia’s prestigious Sydney Peace Prize for, according to the prize jury, “inspiring us to stand up locally, nationally and internationally to demand a new agenda for sharing the planet that respects human rights and equality.” Her books have been translated into more than thirty languages.